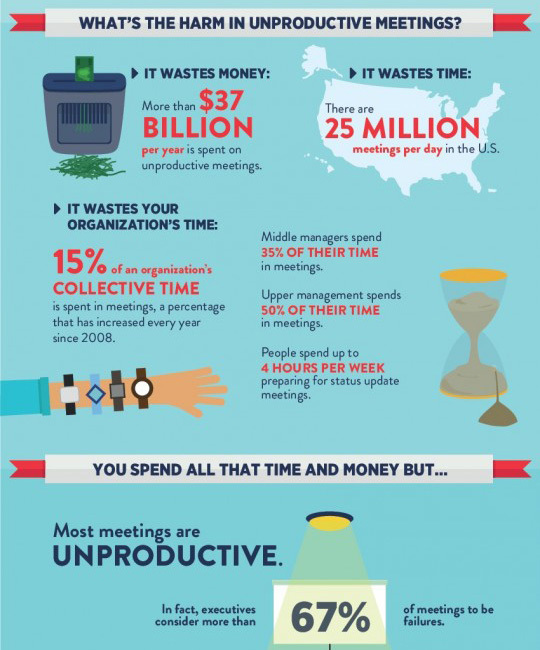 The knee-jerk response to these statistics is to eliminate unnecessary meetings. (HBR Meeting Decision Tree) We agree that makes sense. But if that is all you do, all you have is fewer bad meetings. The next step is to improve meeting quality in the remaining meetings. That’s where we come in. We offer a variety of services to organizations seeking to “Save Time and Get More Done” in meetings: in-house webinars, meeting clinics, workshops, train-the-trainer programs, and our forthcoming e-learning program. All based on our book, Let’s Stop Meeting Like This. Contact us at 847.251.7361 or info@axelrodgroup.com to discuss how to improve meetings in your organization. We are a click away or as close as your phone.